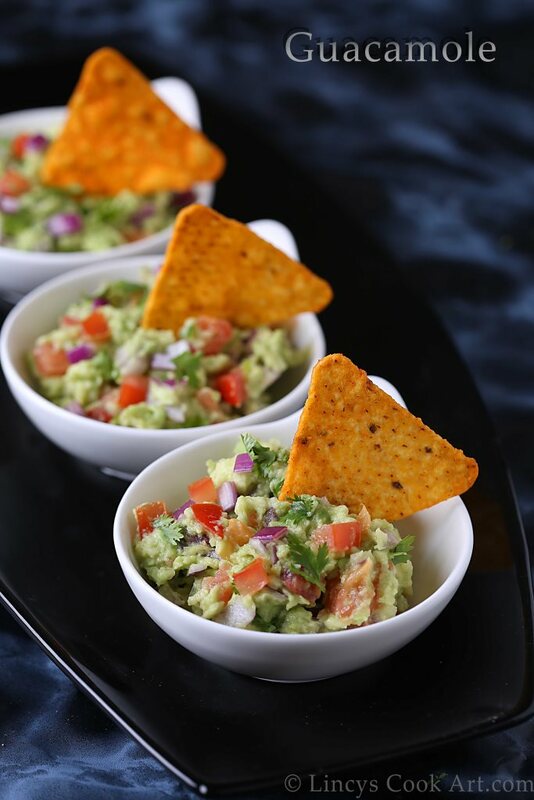 Guacamole is a popular Mexican dip or salad, it has now grown to become a part of the American cuisine. Guacamole literally means 'Avocado sauce'. This avocado based dip is generally served with tortilla chips. But nowadays this is used as a salad, dip or also filling. I use this guacamole as dip for tortilla chips, crackers and bread toast. I also use this as a filling for sandwiches and flat breads with burger patties as a salad. Sometimes I use the salad on top of toasted bread and serve as guacamole bruschetta. 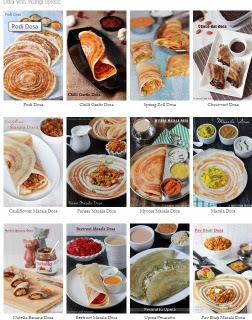 Whatever the way it is served, we could taste different texture and tastes with different combinations. Cut the avocado using a knife at the center and discard the seed. Using a spoon scoop out the flesh. In a deep mixing bowl add the flesh of avocado and mash it with a fork. No need to mash well. Now add the chopped onion, tomato, green chilli, garlic and coriander leaves. Squeeze the lemon juice and season with a touch of pepper and salt. Mix with the spoon and serve immediately with tortilla chips, crackers or bread toast. You could serve this as a filling with sandwiches or burgers or serve as bruschetta guacamole. Notes: You could add some chopped cucumber if you wish. You could add a tablespoon of yogurt if you wish.